Prepare for a memorable vacation in North-East India covering pristine nature, colorful ethnicity, adventure, spirituality and much more. 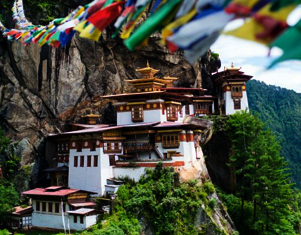 This Gangtok and South Sikkim Tour covers the most beautiful places of the state. Arrival at NJP Railway Station / Bagdogra Airport. Transfer to Gangtok (5500 ft /125 kms / 04 hrs). Evening free on leisure.Over night at Hotel at Gangtok. After breakfast go for local sightseeing covering Ban-Jhakri Water Falls, Research Institute of Tibetology (Closed on Sunday & govt. Holidays), Do-DrulChorten, Directorate of Handicrafts & Handloom (Closed on Sunday & Govt. Holidays) & Flower Show. Afternoon transfer to Pelling (6000 ft / 132 kms / 5 hrs).Over night at Hotel. After breakfast go for full day sightseeing around Pelling covering Rimbi Waterfalls, Khecheopalri Lake & Kanchenjunga Water Falls. After lunch you cover Pemayangtse Monastery, Rabdentse Ruins, New Helipad & View Tower. Overnight stay at Hotel. After breakfast, transfer to NJP Railway Station / IXB Airport (175 kms / 06 Hrs) for your onward journey. M.G Marg: M.G MARG in Gangtok is the most happening and exciting place. In this beautiful state M.G road is the central shopping hub brimmed with various shops, restaurants, and hotels lined up along both sides. You will get a like a carnival-like atmosphere out there. You can roam around or just take a table on any roadside restaurant or cafe and watch the various activities on the street. If you are traveling in December you will get to experience the annual Gangtok Food and Culture Festival at MG Marg in December. Nathula Pass: Situated on the Indo-Chinese border nathula pass is a mountain pass in the Himalayan peaks. This pass co-joins Sikkim and China also it is one of the highest drive roads in the world. This valley is worldly famous for its scenic beauty and trekking activity. Here you can get to see the Army jawans guarding borders; you can also see the Chinese soldiers on the other side. To get to the border you need to climb approx. 90 steps. Pace your walk slowly - don't rush as you might end up exhausted. This nathula pass is closed on Mon & Tues. To visit the place, you need to apply for a permit - check with the travel operator. Also, since this is at a very high altitude, to avoid Acute Mountain sickness, would advise to take proper medication. Rumtek Monastery: Situated 24 km from Gangtok Rumtek Monastery is considered to be of the most sacred monasteries in Buddhism. The religious significance of Rumtek Monastery and the most sacred traditional Buddhist rites which are performed in this very building attracts devotees and tourists from all over the world. The monastery is bordered by lush green mountains; also you can have a breathtaking view of the whole Gangtok town if you climb on top to the Rumtek situated right opposite the hill. Besides all of this, the architecture of the monastery is one of the finest in the world. Ganesh Tok: Ganesh Tok is a Ganesh Temple located at an altitude of 6500 m and at a distance of 7 km from Gangtok. The specialty of this temple is for the size of this temple it can accommodate only one person at a time and one needs to crawl to reach there. Here you can soak your soul in the views from the viewing lounge and the circular balcony around it. From This balcony, you can get see the Gangtok town, rolling hill and the snow-capped mountains including Kanchenjunga.